As soon as it opened, Baha Mar quickly became one of our top-selling resorts for 2018. 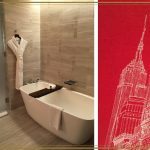 The convenient location (especially for east coasters), excellent value, and variety of choice in hotel accommodation are all nice features drawing a lot of attention. But, we don’t recommend booking this one blindly! Because this resort offers a little something for everybody, you have to know what you’re buying to make sure you’re getting the option that is the best fit for you! 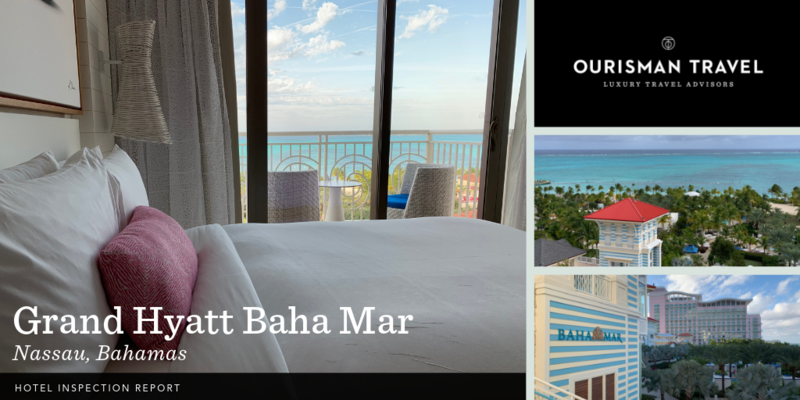 Jessica and I recently visited Baha Mar to see for ourselves what the fuss is all about and to gather insight on how best to manage reservations here so our clients continue to get the best service and the best value. Read on for a round-up of our take-aways and advise for making the most of your stay at Baha Mar. Know what you’re buying: The best comparison we can think of is the Mayakoba resorts (Riviera Maya, Mexico) smashed together with the Bellagio casino in Vegas. This resort is not for everyone, but they offer a little something for nearly all travel styles! For us, the biggest draw is location and convenience. This is not where you go for a grand celebration type of trip, but it is a great option for an easy beach getaway! Pre-book your arrival transfer: The hotel airport transfer service is seamless and speedy. They have an arrivals lobby right outside baggage claim and they will whisk you away to your car. Definitely arrange your transfer with the hotel concierge so you can start your beach vacation as fast as possible. Pre-book your dinner reservations: This is a must if you are staying over the weekend! While there are many restaurants to choose from, the best options for sit-down dinners will book up fast and there will be long waits for any walk-ins. It is best to have a dining plan already set before you arrive. Immediately on arrival, it is clear that this is a resort on a grand scale! Each of the three hotels have their own entrance, which helps immediately disperse the crowds. The casino is central to nearly everything within the resort and guests staying in the Grand Hyatt will have to walk though the casino to get from the front desk to their rooms (unless they are staying in the Reserve; more on that later). It is important to know that it is not easy to avoid walking through the casino and there is indoor smoking; while the air circulation is very good, the noise and smells from the casino could be a turn-off. 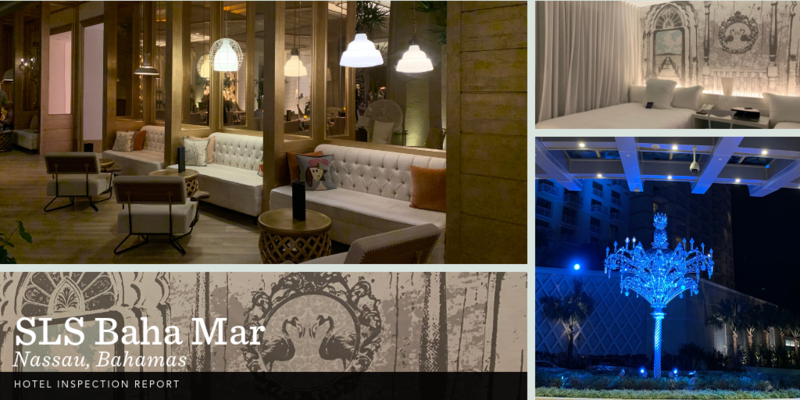 In our opinion, the best feature of Baha Mar is the variety of restaurant and bar options. No matter which hotel you are staying at, you can charge back to your room from anywhere within the resort. Each hotel offers a different vibe and we loved being able to change the scene depending on desired ambience. SLS: The SLS lobby quickly became our favorite hangout space. We loved Monkey Bar in the lobby and Sky Bar on the roof for pre-dinner cocktails. All of the spaces in the SLS have a young and fresh feel with unique decor and chill vibe. The rooms here are very stark and not our top pick but the price point is great. This is a good option for young couples and groups of friends. SLS is known for their nightclubs around the world, so it was fitting for them to host the nightclub, Bond as a party option on the lower level of the resort. Grand Hyatt: Taking center stage at the Baha Mar Resort, the Grand Hyatt is the largest of the 3 hotels. It has 2 tower wings with the Casino and dining options in the middle. The west tower offers rooms that are crisp and modern while the east tower features a more dramatic, moody decor. All rooms are a comfortable size and most will feature balconies. The Reserve at Grand Hyatt creates a luxury hotel within a hotel with separate entrance, private reception lounge, and private elevators. Complimentary light bites and wine, tea, and coffee are also served to guests each afternoon in the Reserve lobby. This option is the best value of all of the hotel options at Baha Mar. With Hyatt Privé amenities, our clients enjoy a $100 property credit, potential room upgrade, complimentary breakfast for two at Regatta, and a few other perks throughout the stay. Rosewood: If you want a true luxury hotel experience, you must stay at the Rosewood. There is a major shift in decor and atmosphere as soon as you enter the Rosewood territory. It is quieter with serene color tones and comfortably relaxed, yet still classically formal decor; it even smells nicer. 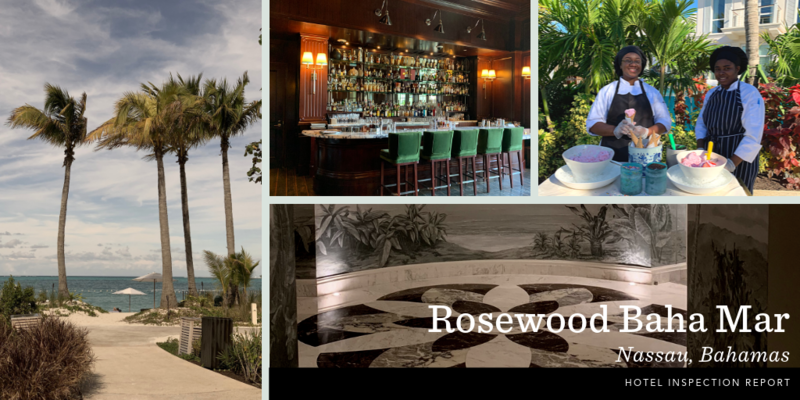 Away from the hustle and bustle, Rosewood is a place for guests to enjoy the finer things the resort has to offer. Though the dining options and Manor bar are open to all guests, access to room floors and pool area are strictly for guests only. When the main Baha Mar resort complex gets loud or busy, it is nice to have the Rosewood pools to retreat to for a calmer pool-side experience. At the Rosewood, it is clear that staff understands it is often the little touches in service that can make or break a 5-star hotel experience. 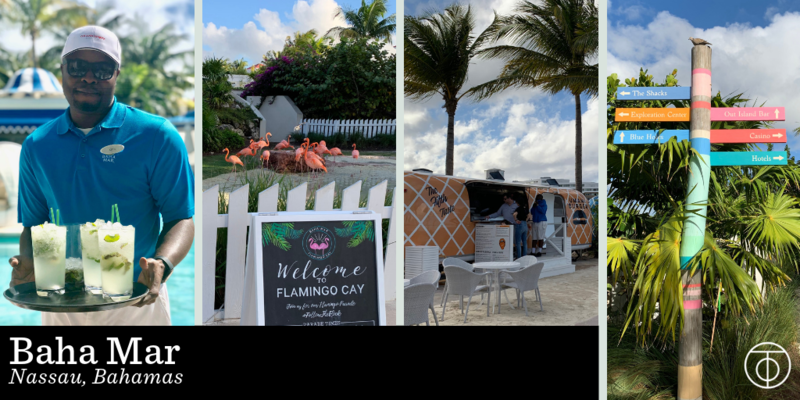 Guests will enjoy special moments like a complementary ice cream cart and a flamingo parade for the kids (or kids at heart), complimentary sun screen by the pool, and special turn down treats on your pillow at night. Our reservations at Rosewood Baha Mar include Virtuoso Amenities with potential room upgrade, complimentary breakfast for two, and $100 resort credit. You can even book this one yourself using the Virtuoso hotel booking tool! There is so much to take in at Baha Mar from the casino, to the Vegas-style water fountain show, to the multitude of dining options and galleria shopping. After grabbing a cup of coffee at the French bistro, you can wanter through the art studio and chat with local artists about their latest projects and the importance of supporting the local community. Next door was an area where guests can paint and complete crafts on a possible rainy day. There’s also a large function space for weddings and conferences but they keep that area nicely tucked away so it won’t disturb vacationing guests. Guests at all 3 hotels have access to the ESPA spa and gym. Advance reservations are recommended for the spa; the 24 treatment rooms fill up quickly. The gym is very large and well equipped and even has outdoor exercise equipment so you can work out with an ocean breeze! The pool complex offers several options so nothing ever feels crowded and everyone will find their home. Nestled amongst the pools and along the beach, you will find an array of food trucks, pool-side bars, and gift shops. The Exploration Center has a sea-sea-life exhibit with nurse sharks, sea turtles, and a touch pool with starfish and baby rays. This area was a highlight for kids and grown ups! 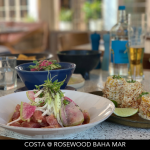 With 30+ restaurants and bars, the dining scene at Baha Mar deserved its own details write-up; read our thoughts on the dining options here. Will we return to Baha Mar and recommend it to our clients? Absolutely! 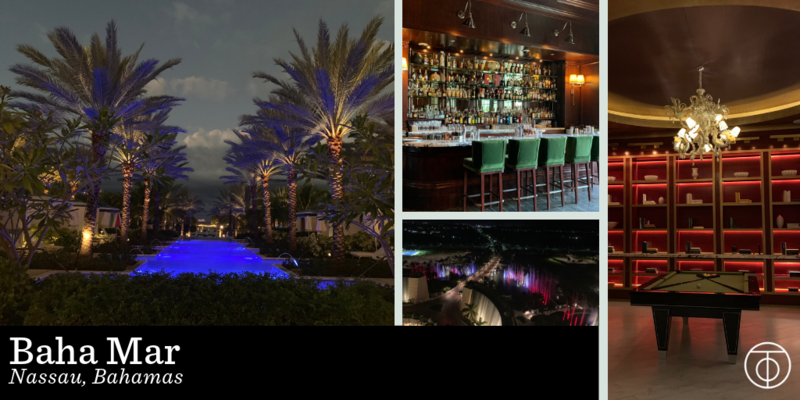 The Baha Mar resort has a lot to offer and we are excited to have strong relationships at all 3 hotels so we can offer our clients the best possible value. You definitely need to know what you’re getting into when planning a vacation to Baha Mar and we’re here to guide the way! Ready to go? Let us know how we can help! 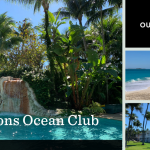 This entry was posted in Beaches, Caribbean, Family Travel and tagged Baha Mar, Bahamas, Caribbean, family destination, Hotel, hotel review, Hyatt, Rosewood, Round Up, SLS. Bookmark the permalink.